Brett Jump is a Granville native, who has a passion and love for real estate. She graduated with a honors degree in Fashion Design and Merchandising from Kent State University, as well as a minor in Business Marketing. 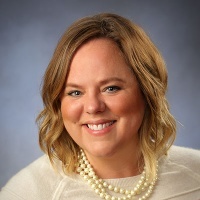 From merchandise buying to procurement and development Brett thrived in her roles with the creative side of companies such as BellePointe, Limited Brands, and Longaberger. Those experiences evolved into a private Interior Design business, that in turn led her to answer the long time calling to be a real estate agent. It’s a perfect fit for Brett, as she is a people person by definition. Brett loves the challenges of finding the right design that speaks to people, while checking all the boxes that fulfill their needs. She’s excited to carry this same feeling over into real estate. Brett is very compassionate about her community,and has a special place in her heart for volunteering with local school organizations, as well as various non-profits. Due to her personal passion for a cure for cancer, Brett is also very involved with Pelotonia, a philanthropic bike ride that raises money for cancer research. She and her husband Ben Jump (also a Granville native, and local dentist) created a community Peloton, (Team Granville Spokesmen) they spend countless hours recruiting, educating, and fundraising every year. Brett was recognized with the 2016 Stefanie’s Champion award by OSU James Cancer Hospital and Chris Spielman, for her devotion to supporting fellow cancer patients. Brett and Ben reside in Granville with their two children Davidson, and Bella. Their spare time is filled with GHS Lacrosse, and various dance and cheer competitions. They enjoy traveling as a family, biking in the village, or relaxing on Apple Valley Lake.